The Custom Sprites set released Mar 25 has been updated. Gretel has been added to the collection and has been substantially changed though the final frame is beta. 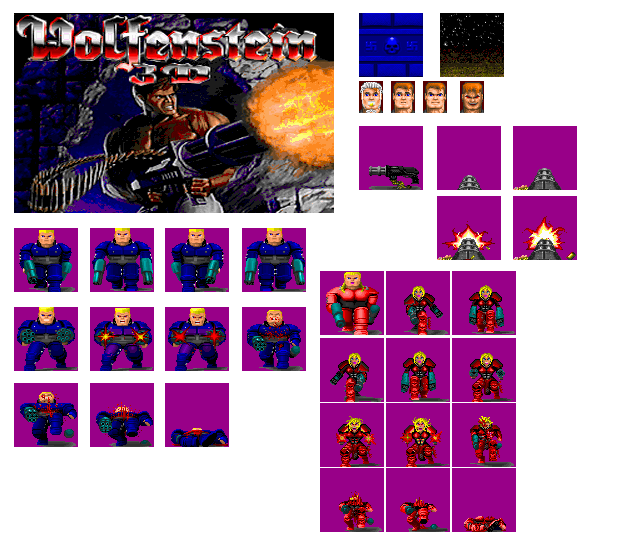 Hans now uses the suit from the mac version, the Gatling weapon has been recreated (inspired by the mac version), the BJ skill faces have clothes on and the I am Death Incarnate picture is totally new. They were sent in by Stephan Strauß.